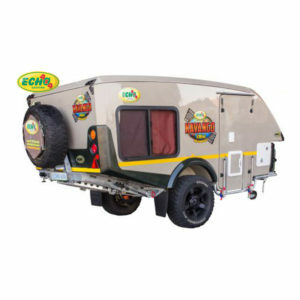 We are proud to announce the new Chobe Off-road caravan. 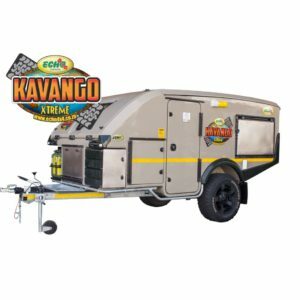 This is the latest addition to the Echo 4×4 caravan range. Built on the Echo 6 chassis you can expect the same great quality and durability you always get from Echo 4×4. 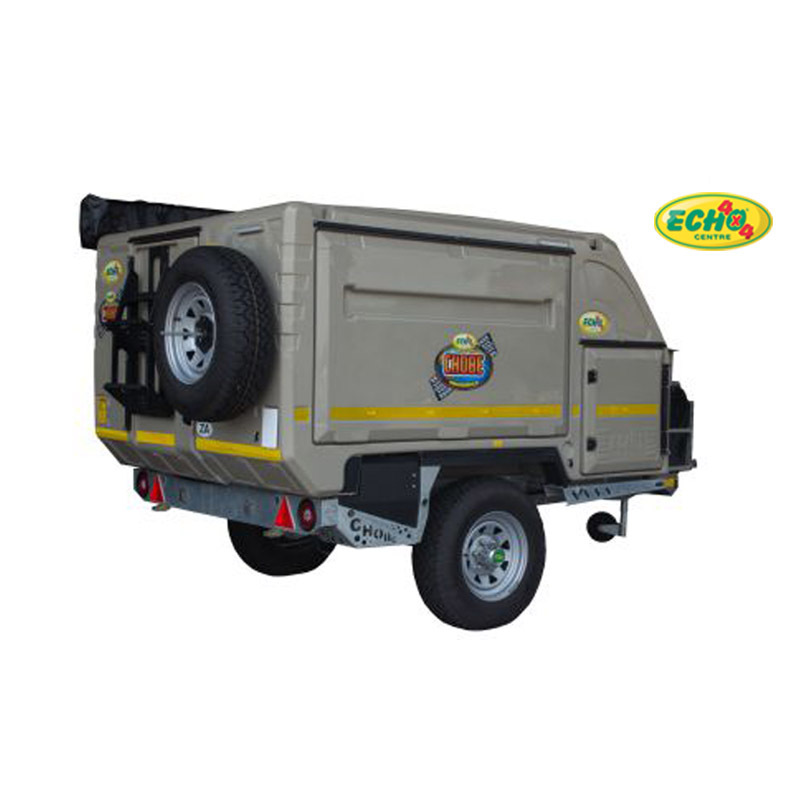 The compact design allows the Chobe to fit in a standard garage and the high ground clearance allows you to take it anywhere on your adventures.Versatility is key. 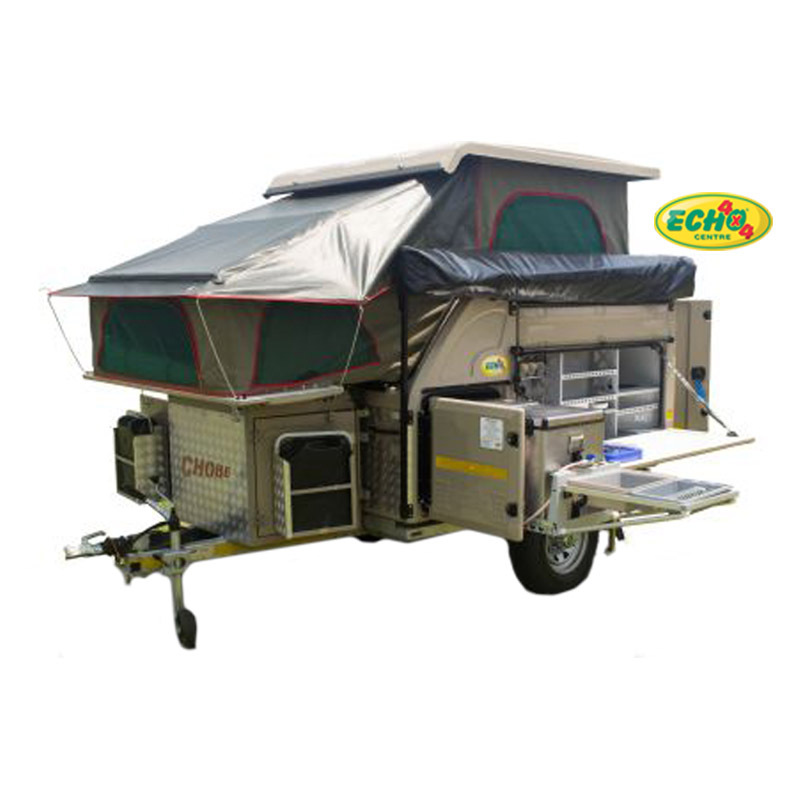 It can be built to sleep 2 or 4 adults depending on your specific needs. This makes the Chobe the most versatile Off-road caravan on the market. 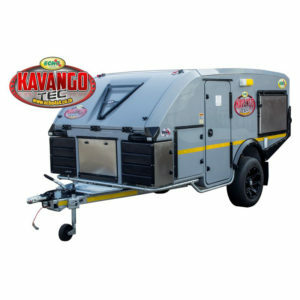 Should you opt for the 2 sleeper, the second bed can be replaced with an additional cupboard for even more storage space.The new removable rear support legs have been designed to stabilize the caravan while inside and easily removed and stored out of the way when you are packing up again. 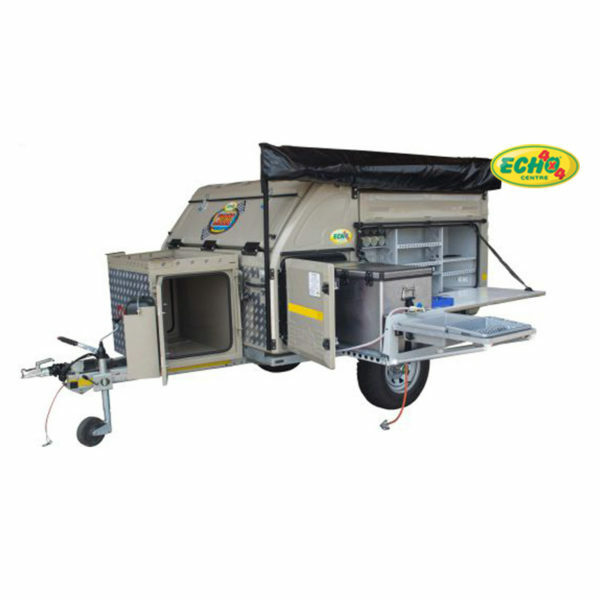 A removable step ladder is also included to help climb in and out of your Chobe. 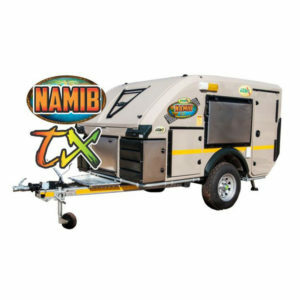 It is easily mounted to the rear door for your convenience.The 270 awning has reduced the setup time of the Chobe Off-road caravan. 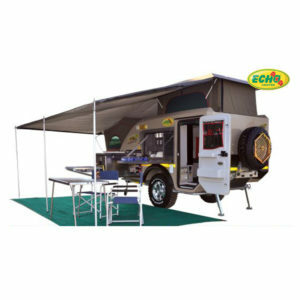 The easy to use system simply zips open, folds out and can be secured with guy ropes if necessary. 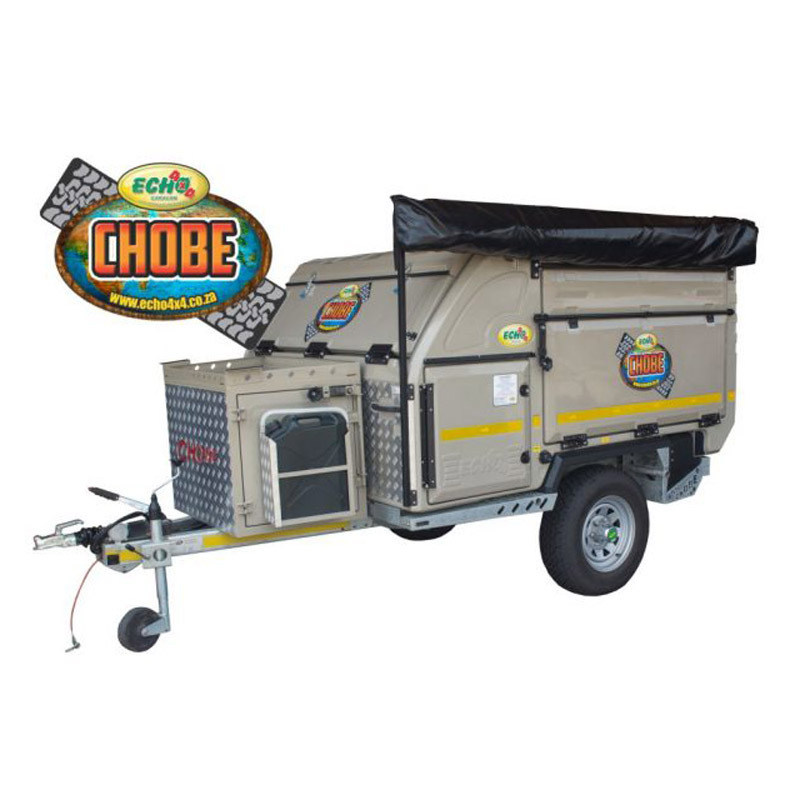 Optional side walls can be added for those who require additional privacy or for those camping in the colder months.The Chobe comes with loads of storage compartments inside and outside. You no longer need to pack bags as you can store all your luggage directly in on of the many compartments. 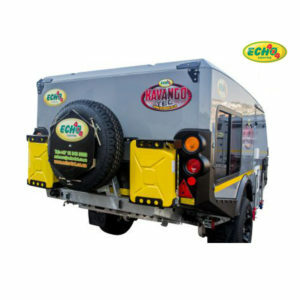 The large nose cone serves as additional storage space and also houses the gas geyser system should you opt for one. Two Jerry can brackets have also been added to the Nosecone to ensure you have enough fuel on your over landing adventure.